Calling all new moms, dads or parents-to-be! 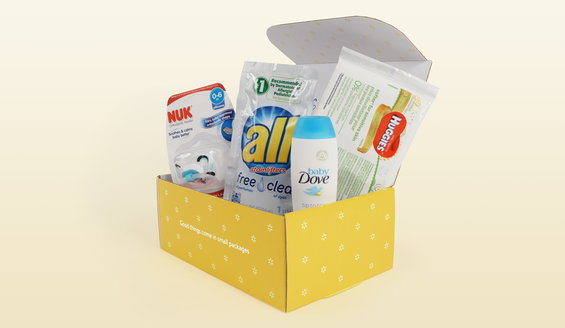 Here's a NEW offer for a FREE Welcome Baby Box from Walmart that comes with great samples and full-size products such as a pacifier, wipes, diaper cream, baby wash and more. Plus, shipping is even FREE! Click link below then scroll down and click on "Baby Welcome Box" then fill in your information on the form to request the box. Allow up to five weeks for delivery. Boxes available while supplies last. Products will vary.